From Liverpool to West Ham, more and more teams are now sporting betting kit sponsors in the Premier League, but is it a good thing? Find out what we think. 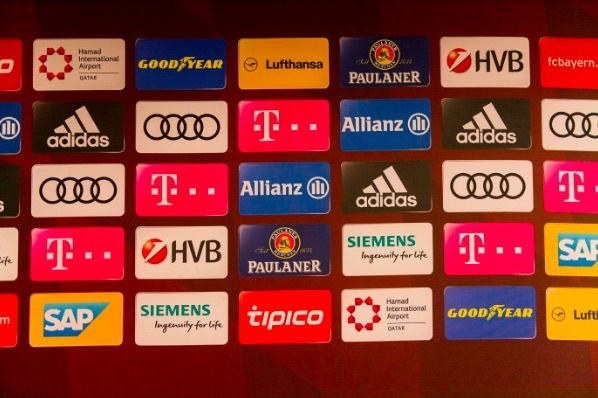 Betting Sponsors Are A Rising Trend, But Is It A Good or a Bad Thing? Every year, football supporters eagerly await the design of their team’s new kit. On launch day fans will log straight to their team’s website to check it out and purchase it online or head out into their local shopping centre to purchase it on the day. It is something that can really help the player connect with their club and gets them excited for thrills the upcoming season promises. One trend we have seen lately from football kits is a rise in the number of online betting venues that are becoming ever present on football strips, from the Premier League down to League One. Football has always been one of the most popular things to bet on in the UK and with the rise of online gambling for real money in Canada it has become even more popular. As such, the rising trend for clubs to make deals with betting sites makes perfect sense because the two very much go hand in hand. Betting sponsors have been featured on Premier League strips for some time, the first example that springs to mind is Stoke City, before their relegation, and their long affiliation with Bet365. This one perhaps makes the most sense because Bet365 originated in Stoke and it was, therefore, logical that the biggest company in Stoke sponsored the biggest club. Over time though, more and more clubs have adopted online betting site sponsors, particularly in the Premier League, with some of the most prestigious teams in England now sporting betting sponsors. West Ham’s sponsorship with Betway has been going on now since 2015, while Newcastle announced a deal with Chinese betting firm FUN88 in 2017, who have now since also made deals with 2015/16 league champions Leicester City too. Even Liverpool have a betting site sponsorship deal themselves with BetVictor. It may have slipped under the radar for most fans who recognise Standard Chartered as the main sponsor, but if you have ever seen The Reds train, you will have seen the BetVictor logo on all their training gear. Eagle-eyed fans will also have seen Jurgen Klopp guiding Liverpool to victory on the side lines with a BetVictor’s logo on the left of his jacket directly below the famous Liver Bird badge. It is not just the Premier League, many other leagues have also been adopting the trend too, with Championship sides such as Norwich City with LeoVegas or Aston Villa with 32Red doing so also. While some parties have criticised the arrival of these new betting site sponsorship deals, it seems unwarranted. Betting and football are intrinsically linked and have always had close arrangements in one way or another, so the step to moving them on to football seem more lucrative for both sides and far less arbitrary than countless other more dubious sponsors that have appeared on kits over the years.